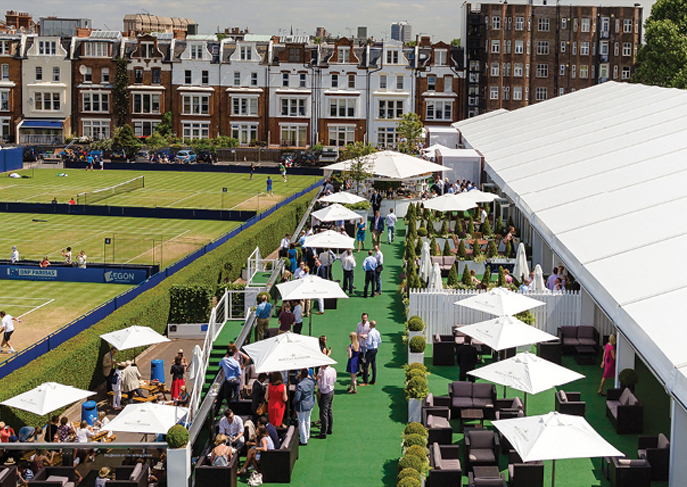 The Fever Tree Championships 2019 return to the heart of London for a week of world class tennis amid the wonderful atmosphere at The Queen’s Club, where you can experience sublime Fever Tree Championships hospitality packages with courtside VIP tickets this summer. 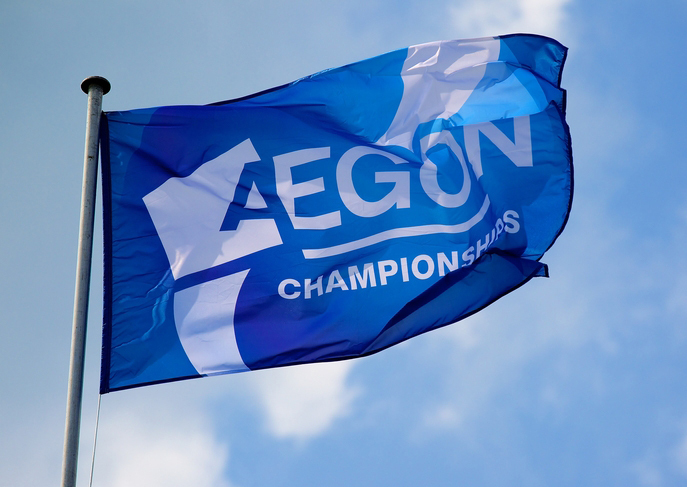 This summer tennis fans can look forward to a spectacular feast of action at one of the most prestigious tennis venue in the world, as The Queen’s Club once more hosts the eagerly anticipated Fever Tree Championships 2019, formerly known as the Aegon Championships. 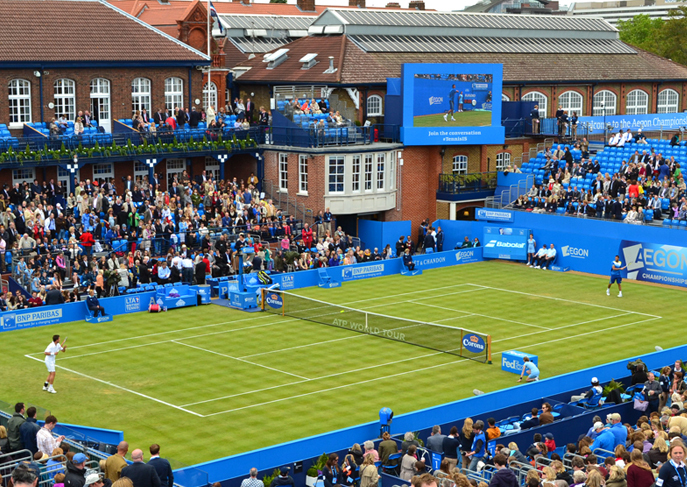 The perfectly manicured courts of The Queen’s Club traditionally welcome a raft of the world’s biggest names each summer, including Rafa Nadal, Novak Djokovic, Andy Murray, Grigor Dimitrov and Stan Wawrinka who have all graced The Queen’s Club grass courts in previous years. Last years tournament saw reigning Wimbledon champion Novak Djokovic edged out in a gripping final by Croatia’s Maran Cilic 5–7, 7–6 (7-4), 6–3 in the Queen’s Club Championships final to a rapturous reception from the appreciative capacity crowds in the grandstands at the the idyllic West London tennis club. Experience this superb week of tennis with your choice from the range of official Fever Tree Championships hospitality packages, complete with the best VIP tickets at this famous summer tennis event, with Hospitality Centre. 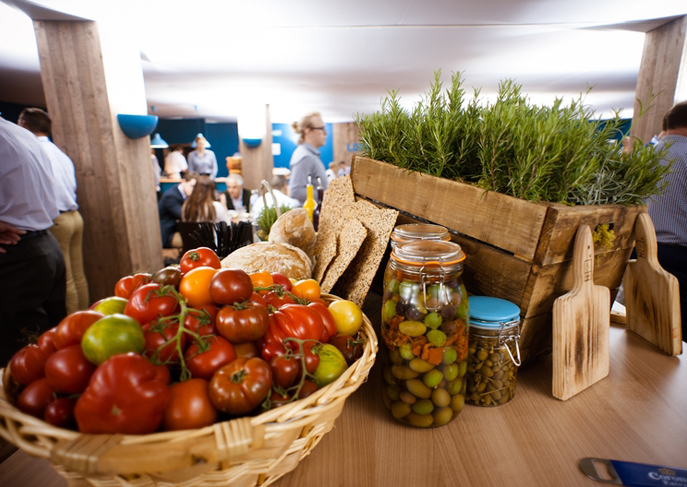 The relaxed atmosphere of this great venue provides guests informal day of entertainment at the Queen's Club, where the tapas style cuisine and rustic feel really create a wonderful ambience, with each package purchased contributing a donation to this worthy charitable cause. 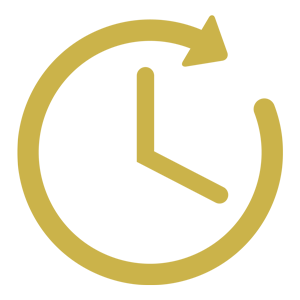 Love Fifteen hospitality packages at the Fever-Tree Championships 2019 can be booked for groups of 2 guests and above (subject to availability). This contemporary hospitality facility is the perfect way to entertain clients allowing them to indulge in a few drinks, enjoy the garden space and take in the views of the practice courts before heading to the East Stand for the main event. 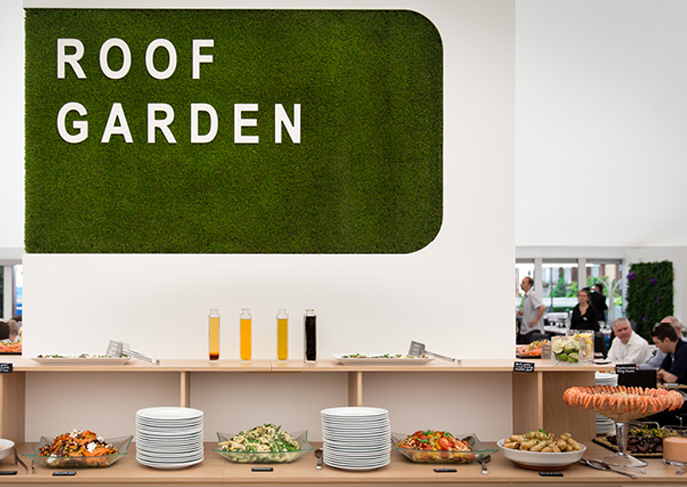 Roof Garden hospitality packages at the Fever-Tree Championships 2019 can be booked for groups of 2 guests and above, with private tables offered for groups of 10 - 12 guests (subject to availability). The Real Tennis Museum & Dedans at The Queen's Club offer guests a truly memorable experience during the Fever-Tree Championships. 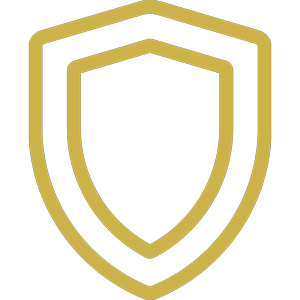 Set within your own exclusive room within the historic clubhouse at The Queen's Club, the hospitality features the finest Champagne, fine dining along with stunning views of the on-court action from the North Stand behind the baseline. Private rooms in the Real Tennis Museum & Dedans can be booked for groups of 12 guests only. 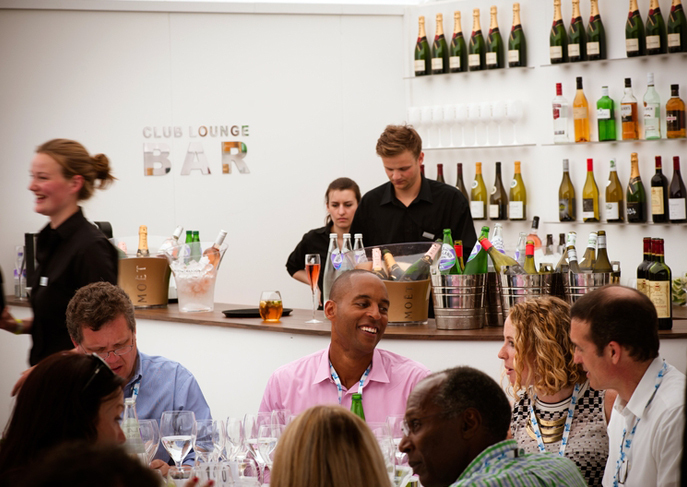 The Club Lounge at Queen's offers guests the finest all-inclusive corporate hospitality for this famous tennis event in London's west end. 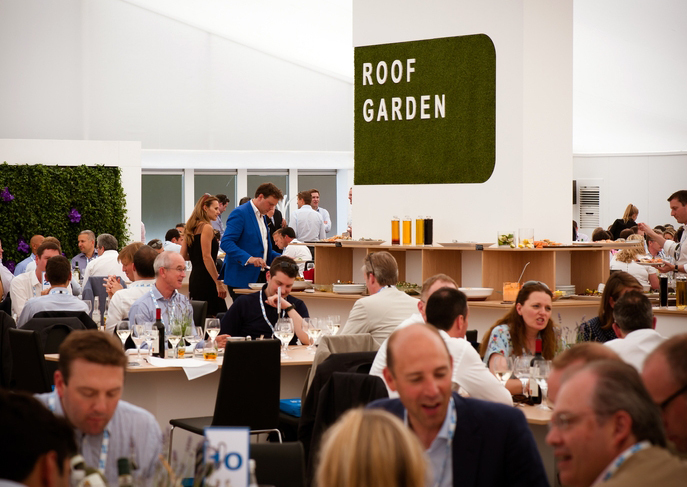 Situated in an exclusive area of the Hospitality Village on the top floor, complete with its own private garden, guests will enjoy panoramic views of the practice courts at the Queen's Club along with the very best match seats located in the South Stand behind the baseline. 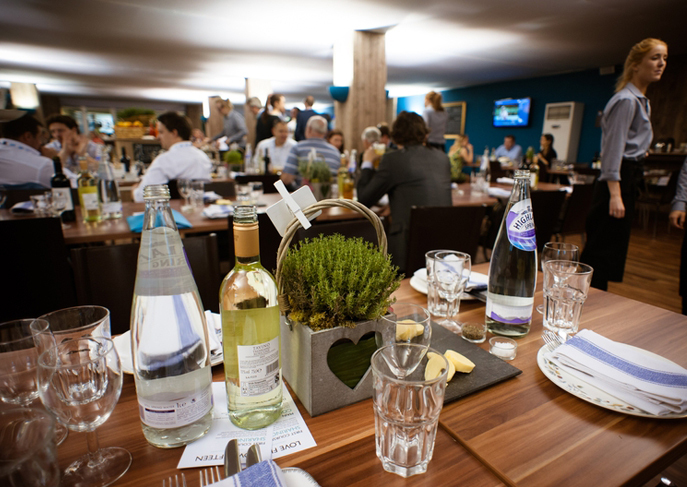 Club Lounge hospitality packages at the Fever-Tree Championships 2019 can be booked with private tables available for groups of 2 guests and above (subject to availability). 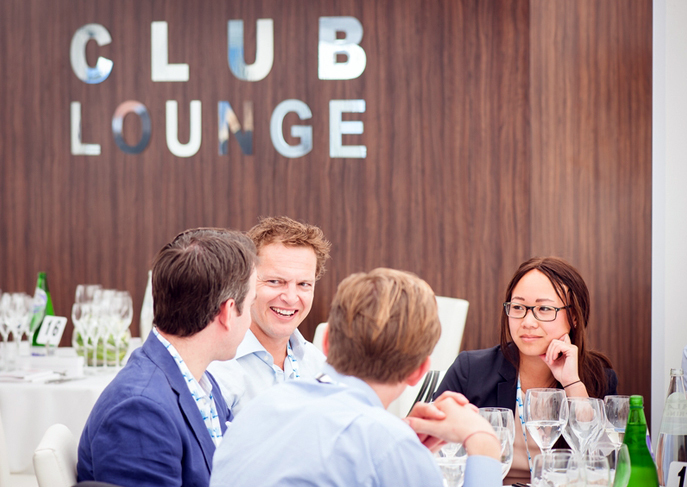 The President's Room at Queen's offers the ultimate day of VIP entertaining at The Queen's Club during Fever-Tree Championships 2019. Each privileged guest will enjoy the finest cuisine along with premium drinks throughout, complete with Centre Court seats on the Royal Box balcony offering unrivalled views of the tennis. 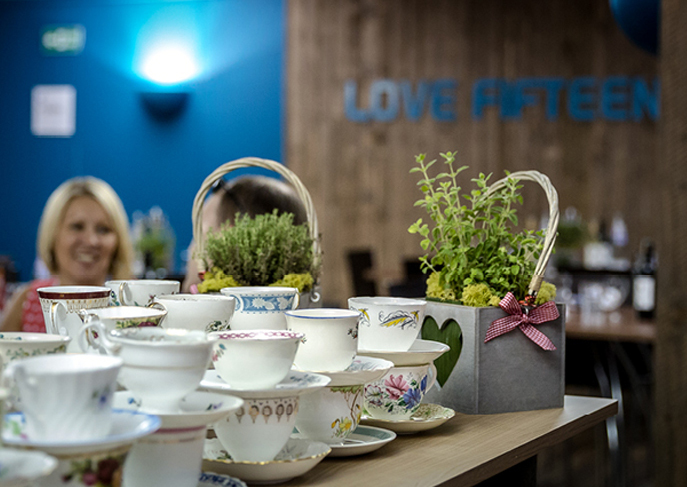 The President's Room hospitality packages at the Fever-Tree Championships 2019 can be booked with private tables available for groups of 10 or 12 guests (subject to availability). To find out more information about official Fever Tree Championships hospitality packages & VIP tickets or to enquire about prices and availability at The Queen’s Club, simply send us your enquiry using the form below and a member of our dedicated team will get back to you as soon as possible with all the necessary event information. This has always been one of our favourite places to watch the tennis and this year we decided to bring business partners along and try out the hospitality - safe to say it was a huge success and we saw a whole new side to the Queens Club. Top marks! From my first contact with Hospitality Centre until leaving the event after a fantastic day at the Queens Club, the service has been nothing short of exemplary. 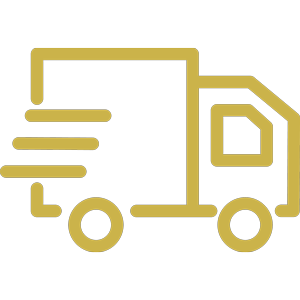 I'd like to congratulate the whole team for their efficiency in dealing my queries and the smoothness with which the event itself ran. 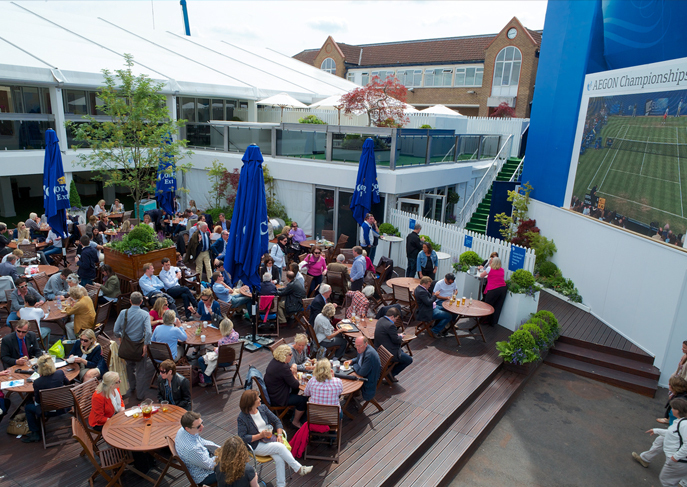 To find out prices of all Fever Tree Championships 2019 hospitality tickets, a full tournament schedule and to find out more about the fantastic VIP experiences available at The Queen’s Club, get in touch using the form above and we will send you all the information to help you look forward to a superb day of tennis at the Queen’s Club this June. 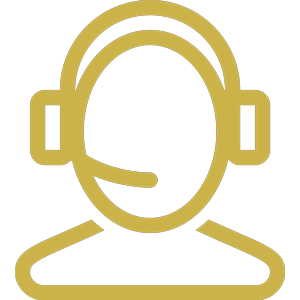 Our team of experienced event gurus have the expert knowledge to answer any questions and help you discover Queen's Championships hospitality packages that perfectly suit your needs. We pride ourselves on providing official Fever Tree Championships VIP tickets at The Queen's Club along with all of our events, guaranteeing you peace of mind every time you book an event.